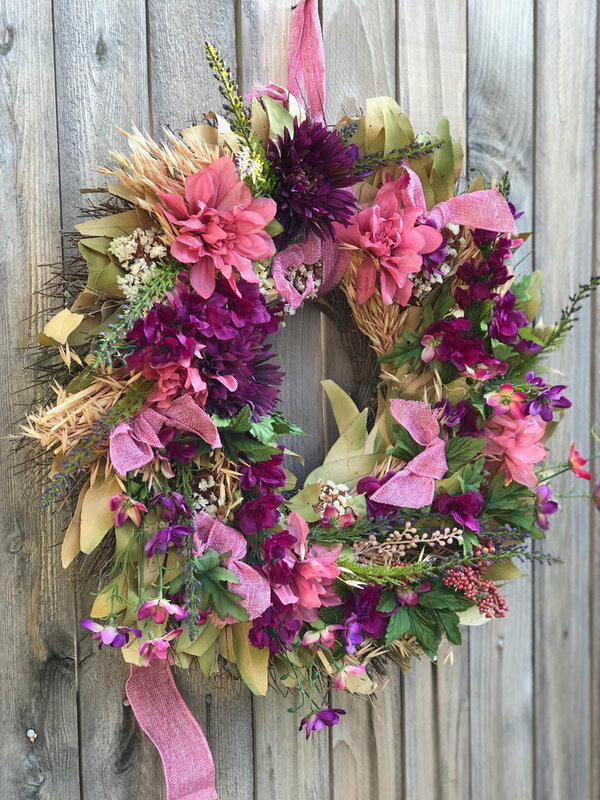 Upcycle an old faded wreath with “fresh” [silk] flowers for spring! My quick video shows you how to balance and glue embellishments in place. Oh my, spring is almost here and I’m so excited! We’ve had a ton of cold weather and snow here in Colorado this winter and I’m more than ready to get outside and do some planting. Last spring when I removed my spring wreath from the door (I like to change out my wreaths with each season), I realized how dingy and faded my wreath was. Knowing I didn’t want to throw it away I decided to give it a new life! Off I went to my craft room to find remnants of ribbon and flowers and I started getting creative. I grabbed anything I thought would work to update my wreath, including some ribbon remnants, and began experimenting with them to make sure I liked the placement. Since my front door is pink (which I love on my little cottage), I decided to use bright colors, making sure to vary the textures and balance the colors. Here’s how I transformed my wreath using materials I already had. You can use this same idea using a wreath form and a couple bunches of silk flowers from a craft store or even the dollar store! Click the white triangle "play" button in the center of the image below. Place your wreath form on a sturdy surface and decide where you’d like to place your flowers. 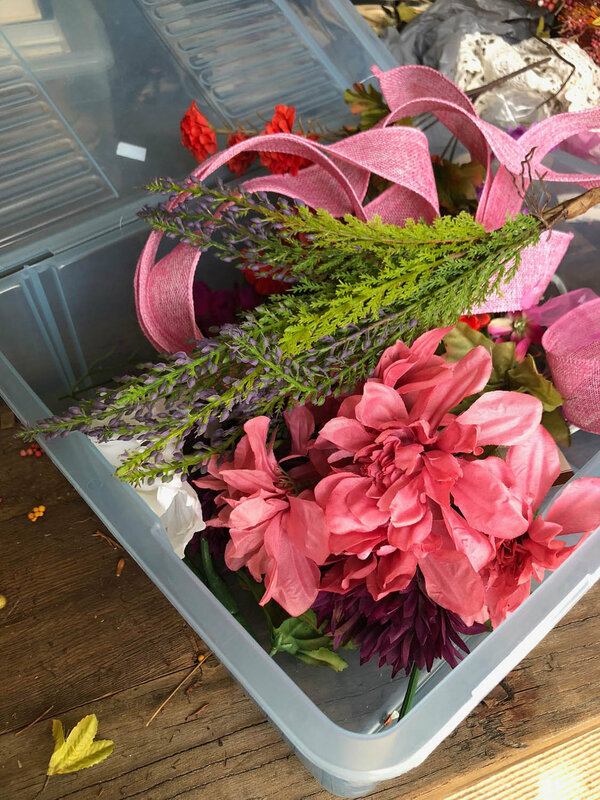 Trim stems off of silk flowers as needed. Using hot glue, begin attaching the flowers all the way around the wreath. Take small remnants of a sturdy ribbon and cut into pieces approximately 10” in length. Tie the ribbons and glue them into place. Use a length of ribbon to tie around the wreath to hang. I hope you love this idea as much as I do! Get creative with your supplies and use colors you love. Best wishes for a happy spring season!